E3 didn’t exactly kick off with a bang —at least not for Nintendo. While Sony and Sega were showing off the Playstation and Saturn respectively, all the information Nintendo gave about their “next-gen” system —which at that point was still called the Ultra 64— was that it would be out by the summer of 1996. It wasn’t. To seemingly buy some time before their 64-bit console released, Nintendo revealed a new “portable” console at E3, the Virtual Boy. It lasted for barely six months before it was discontinued and led to Game Boy creator, Gunpei Yoko, leaving the company. Overall, 1995 was a terrible year for Nintendo as far as launching new hardware went, but it wasn’t all bad. Killer Instinct, Donkey Kong Country 2 and Earthbound were all shown in some form or another, proving that the Super Nintendo still had plenty of life left in it. The first E3 was also the last one before Square shifted to making games for the Playstation, but the company was showing off Chrono Trigger and Secret of Evermore on the SNES as their last few titles on Nintendo consoles for almost a decade. 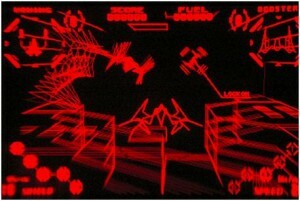 By this point, the Virtual Boy had been discontinued in North America and Nintendo’s focus was shifted to the Ultra 64, which took on the more familiar name of the Nintendo 64. Though the Playstation and Saturn were already out by this point, the Nintendo 64 still managed to make a good impression, especially with playable demos of Super Mario 64 on the show floor. Courtesy of Mexican “totally not a paid advertisment” TV program, Nintendomania. Wave Race 64 and Pilotwings 64 were also shown, but it seemed that a lot of third party developers like Capcom and Konami were instead gravitating towards developing the other new consoles. That said, E3 1996 still gave a glimpse at some early Nintendo 64 games like Star Wars: Shadows of the Empire and Mortal Kombat 64. A smaller version of the Game Boy, the Game Boy Pocket was also unveiled —as well as a few notable Super Nintendo titles (Donkey Kong Country 3, anyone? )— but it was clear that Nintendo’s main focus was on promoting the Nintendo 64. In 1997, E3 moved to Atlanta. Every company seemed to be focusing on first-person shooters (kind of like this year), including Nintendo with the classic Rare shooter, Goldeneye 007 (kind of like this year). Tons of big name games like Metal Gear Solid and Castlevania: Symphony of the Night were shown off at E3 ’97, but none was quite as big as The Legend of Zelda: Ocarina of Time. Unfortunately, it was in an ugly, unplayable beta stage, but considering that it had been about four years since the last Zelda game at that point (no, the CDi games don’t count), any new footage was a surefire way for Nintendo to please fans. Fun Fact: The beta version of Ocarina of Time shared music with Banjo-Kazooie. Or not. Yoshi’s Story, Turok: Dinosaur Hunter and an early build of Banjo-Kazooie were also shown for the Nintendo 64, as well as Conker’s Quest: Twelve Tales, which would eventually be transformed into the far less kid-friendly Conker’s Bad Fur Day. 1998 was all about quality over quantity. Nintendo didn’t have many games to show off at E3 (in all fairness, this was back when they had their own yearly Space World shows), but the few games that were previewed were AAA titles. Ocarina of Time was starting to look polished after three years in development and Perfect Dark was being touted as a follow up to the previous year’s successful Goldeneye game. The Pokemon franchise, which had already been out in Japan for two years, finally hit the U.S. accompanied by a massive marketing campaign. The Game Boy was finally getting a resurgence in popularity after being almost completely overlooked at E3 1997. 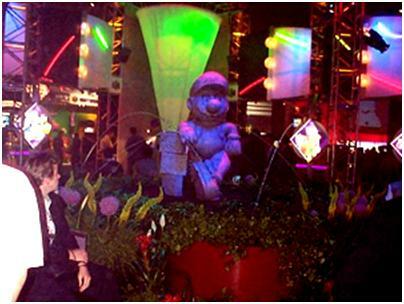 E3 moved back to Los Angeles for 1999’s show. This year, next-gen consoles were on the agenda with Sony revealing the Playstation 2, Sega announcing a western release of the Dreamcast, and Nintendo giving out some vague details surrounding their upcoming system — the tentatively titled “Dolphin.” Details were thin, but show goers quickly learnt that the Dolphin would abandon cartridges in favour of discs and would be out by the end of 2000. Like the Nintendo 64 before it, delays would push its release date much further than was initially planned. That said, Nintendo were showing a bunch of first party titles that would hopefully tide gamers over before the Dolphin/Gamecube finally hit the market. Mario Golf and Excitebike 64 were decent games, but Nintendo’s biggest titles at E3 came from Rare, who had no less than three upcoming Nintendo 64 games on display. Perfect Dark was still being hyped up by Rare who were also showing off a playable version Donkey Kong 64 which would release later in the year. The last of the three Rare titles was Jet Force Gemini, an odd third person shooter which was loved by critics but ended up being the least popular of the trio. Audiences in 1999 just didn’t get the appeal of a dog with a gun strapped to his back. After lifting the lid on the Dolphin at the previous year’s expo, Nintendo went back to being secretive, revealing next to nothing about their new system despite the fact that Microsoft had just announced that they were planning to enter the console market with the Xbox. The Legend of Zelda: Majora’s Mask and Conker’s Bad Fur Day were impressive, but they ended up being overshadowed by the talk of next-gen consoles and games like Metal Gear Solid 2. Step back in time indeed. Interestingly, a few Nintendo 64 games that were playable at E3 2000 ended up making the jump to the Gamecube the following year (namely Dinosaur Planet and Eternal Darkness). By this point, the Game Boy Advance was known to be in development but details were still thin. Those who wanted to get some hands-on time with the new console would have to wait until the next year’s show. At E3 2001, the Dolphin was out and the Gamecube was in. The public finally got their hands on the Gamecube’s confusing controller (though it was admittedly more comfortable than the Nintendo 64 one) and got to play the multiplayer classic, Super Smash Bros. Melee and “that gardening game from Shigeru Miyamoto,” Pikmin. Quite a few games that were shown at Nintendo’s press conference never saw the light of day, though. Super Mario 128 was little more than a tech demo, the Gamecube version of Mario Kart saw a massive redesign, and Retro Studios’ Raven Blade had to make way for Metroid Prime. 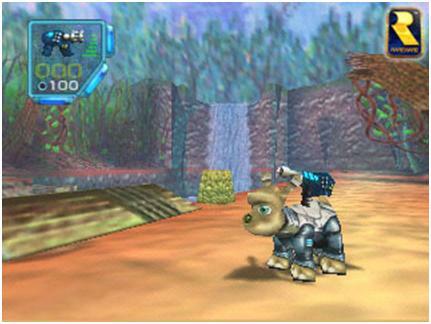 Donkey Kong Racing was lost after Rare left Nintendo, and Kameo, which was playable on the show floor, didn’t show up again until 2005 when it helped to launch the Xbox 360. Despite the big reveal of the Gamecube, most of Nintendo’s focus seemed to be on promoting the Game Boy Advance. Super Mario Advance, Diddy Kong Pilot, and Advance Wars were featured prominently, as well as a bunch of third-party titles. Now that both the Gamecube and the Game Boy Advance were out, Nintendo’s focus switched to showing off software for the two consoles. Mario and Zelda were completely absent from their 2001 showing, but both franchises made a welcome return in 2002 — even if it wasn’t what fans were expecting. Super Mario Sunshine had the excellent Super Mario 64 to live up to; throwing in a weird water-jetpack-thingy rose more than a few eyebrows. Even stranger was the reveal that The Legend of Zelda: Wind Waker would feature a distinct cel-shaded look, rather than the Ocarina of Time style graphics that had been teased in a tech demo at the previous year’s press conference. Some early footage of Super Mario Sunshine set to the theme from Talespin. It wasn’t all first- party Gamecube games, though; for the first time in years, Nintendo actually had a lot of third-party developers backing their console. Capcom’s Resident Evil Zero was a nice graphical showcase and Timesplitters 2 looked to be a worthy successor to Goldeneye (at least more so than EA’s actual James Bond game). Phantasy Star Online was a nice choice of game to show off the online capabilities of the Gamecube — it’s just a shame that it was the only one that did. Metroid Prime was teased the year before, but E3 2002 was the first time the public saw that it had adopted a first-person view. Like Super Mario Sunshine and Wind Waker, there were mixed reactions, but for those who preferred the 2D-style Metroid games there was always Metroid Fusion on the Game Boy Advance to look forward to. A lot of the games announced for the Game Boy Advance were ports of older games like The Legend of Zelda: A Link to the Past or remakes like Kirby: Nightmare in Dreamland, but there were a few original titles announced such as Golden Sun: The Lost Age. And that’s it for the first eight years of E3. Next week I’ll be taking a look at E3 from 2003 to today and the games, consoles and events that shaped those few shows.